Our primary objective when we welcome toddlers to Mary DollÇ²oup is to help them feel secure in a new environment and encourage their inherent curiosity. An hour each day is spent on introducing them to basic concepts such as shapes, colours, words, etc. through visual aids and oral expression. Our group enables your child to interact socially with children and adults other than their families and daily caregivers. They learn about sharing and getting along with others while having fun! Mary DollÎµrsery class is a wonderful opportunity for your child to develop socially in preparation for further studies. As your child approaches regular school age, formal pre-school education is tackled and readiness for Reading, Writing and Number work is gradually cultivated. Formal information on a variety of topics ranging from means of transport to the Animal Kingdom is imparted. The children learn to listen, speak to a group and sit still while enjoying a variety of songs and stories pertinent to the dayà¤©scussion. The teachers also focus largely upon the child using their ï²¤sä¯ communicate their wants and needs, which helps kids to share and interact with one another better. Personal hygiene and health-related issues are emphasized, such as hand-washing and sneezing etiquette. Shapes and colors are a large part of our curriculum as well as letters and numbers, in for our learning program. The strong academic foundation laid in our nursery school is built upon at the K.G. level by encouraging independence of thought and action. 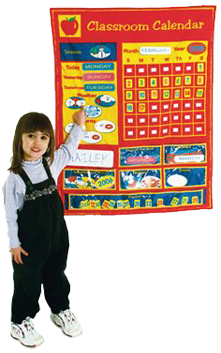 Individual attention is devoted to perfecting each child's writing skills and number concepts. Improving general knowledge and analytical skills form an important part of our curriculum. We also strongly encourage social interaction and artistic expression. A series of sought-after books, workbooks and activity material have been custom-developed exclusively for Mary Doll children. These are updated regularly by our research and development team on the basis of ongoing educational trends.